The key sector for us. This sector is driven by constant changes and requires quick reaction times and a good understanding of the underlying technical solutions. The TMT sector typically includes cross-boarder challenges related to internet, software, start-ups, fintech, ecommerce, media, advertising, marketing, in Hungary and in the European Union. An always developing but classical sector, comprising of our clients in the automotive industry, machine industry, capital goods, packaging, plastic and metal industries. This sector typically uses constant research and development while they need our experience in cross-border issues, and for expansion. We act for pharmaceuticals, medical devices, diagnostics and healthcare sectors and offer a profound understanding of the related Hungarian and European legal requirements . We have extensive experience of acting for online distributed consumer products. We have a fundamental understanding of the continually changing business environment and the commercial, competitive issues this sector is facing. From traditional food products to food supplements, both for human and animal consumption, this sector uses innovative product design and marketing which requires the interdisciplinary navigation on the areas of food law, labeling law, trademark and marketing law, to name a few. Fashion, clothing, shoes, website design, industrial design, protection of pieces of art and architecture all belong to this sector. While a brand, trademark may offer the strongest protection against counterfeiters, in many cases additional protection is necessary. The Registered Community Design (RCD or EU Design) protection is an ideal complementary intellectual property right for creations of the fashion and design industries. Protection through registration, valid up to 25 years, is easy to obtain and inexpensive. In addition to design law and copyright law, fashion products may also be protected against misappropriation under Hungarian unfair competition laws. We understand the products our financial institutions deal with, the deadlines they experience and the regulatory requirements they are under and use this to provide clients with tailored, commercial and cost-effective advice. Energy is one of the most important and fast changing industrial sectors in Europe. This website is maintained by Süle Law Firm, registered with the Budapest Bar Association (Szalay u. 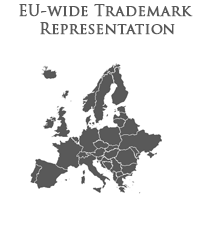 7, 1055 Budapest, Hungary), in accordance with the legislation and internal regulations applicable to attorneys, which are available along with information on the rights of clients at www.magyarugyvedikamara.hu.